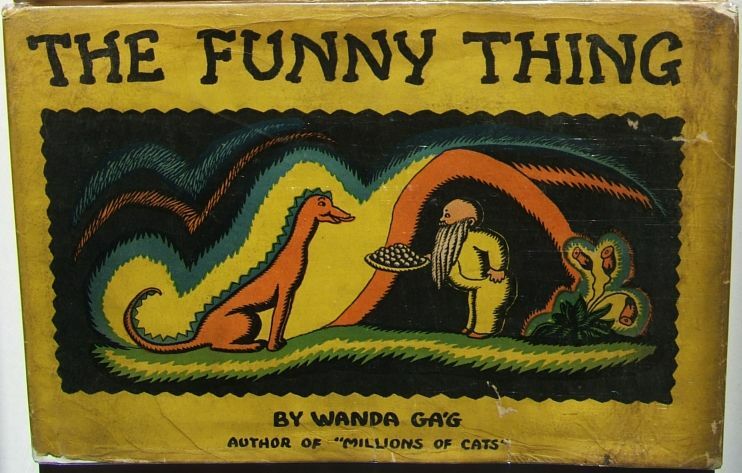 The Funny Thing; written and Illustrated by Wanda Gág; Coward-McCann, 1929. The front and back dust jacket flaps are blank. The back dust jacket has four paragraph’s framed in a black rectangle. 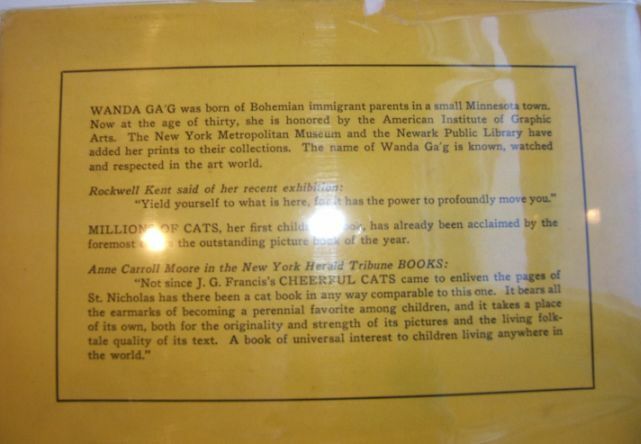 The first paragraph is a short biography of Wanda Gág. The second paragraph is a quote from Rockwell Kent. The third paragraph is a critic’s acclaim for Millions of Cats. The fourth paragraph is a quote from Anne Carroll Moore. 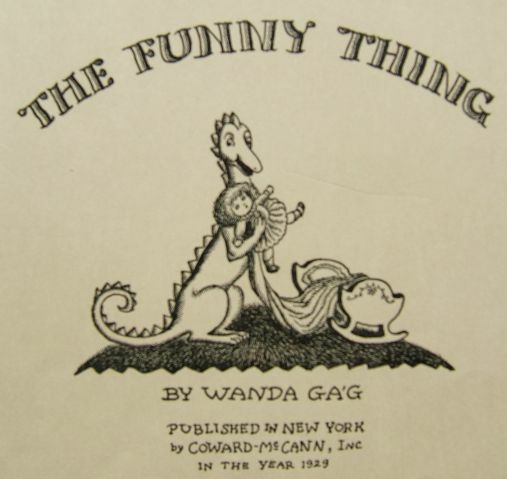 A similar back DJ composition was used on both the first printing of Wanda Gág’s The Funny Thing (1929) and Snippy And Snappy (1931).